There's no such thing as too much black, and don't let anyone try to tell you otherwise. In fact, when you take into account the cost per wear, adding just one more pair of super-versatile boots to your rotation really doesn't need justifying. Since we've already invested in most of our usual go-to styles, we're using this season as an excuse to make things a little more interesting by way of ladylike lace, industrial details, and statement heels to die for. 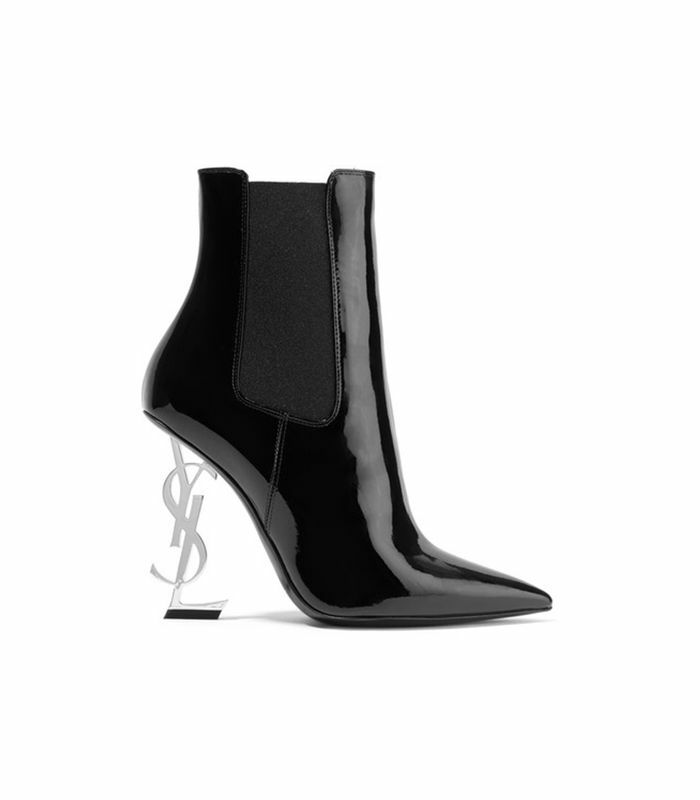 Ahead, our five favorite pairs of NET-A-PORTER's black boots (that are anything but boring). Anything by Off-White is usually on the fast track to becoming a cult favorite, and these suede ankle boots aren't looking to disappoint. Anthony Vaccarello's logo-heel pumps are all grown up and ready for fall. These stretch-velvet booties in shimmering gunmetal are perfect with a head-to-toe black look. Speaking of sock boots, this lace-finish style couldn't look better with leather. Straight from the runway, these boots are super-comfortable thanks to Isabel Marant's signature conical heel. Still want more? Check out all of NET-A-PORTER's chick black boots here.